Lauren Gaige is a Jesus loving, coffee-drinking, Gilmore Girls obsessed Austin native. She and her husband have been married for 11 years, and have two littles. When she’s not wife-ing or mom-ing, she’s running her business, Restored316. She’s been making the internet beautiful for over 8 years; whether by creating custom websites or through developing one-of-a-king Genesis WordPress themes. A self-taught designer and developer, Lauren aims to make creating a beautiful web space simple, convenient and affordable to everyone. Hello fellow Boss Moms! I’m so happy to be here. I’m Lauren, mom to 2 precious little ones (my daughter is 9, and my son is 3), wife to my hubs of 11 years, child of God, and graphic designer and developer behind the Restored 316 brand. We live in the great state of TX in one of the best cities, Austin. 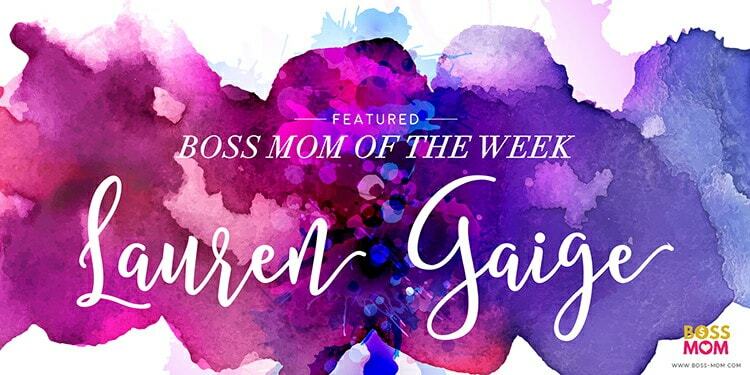 My journey to being a boss mom began in March of 2008 after leaving my corporate job, having my daughter, and the desire to create a business from home. I began digital scrapbooking for memory keeping of all the cuteness with my daughter, and I fell into the world of graphic design sort of my accident. Ha! Well let’s just say that we eat a lot of pizza in our home (it’s Amy’s organic so there is some nutrition there), and a lot of spaghetti. My kids adore pasta and you can whip up a pot of spaghetti so fast! HomeGoods and HobbyLobby are my favorite places to go to just refresh and refuel the creativity. I especially love the scrapbooking section of HobbyLobby. I suppose my original roots of scrapbooking are still there although I never really do it outside of Profile Life… because priorities. I have been really really into podcasts lately. Life can be so so busy and the time to read books doesn’t always happen the way I’d like. I’ve been really into Pat Flynn and Dani Johnson lately. Pat Flynn to learn more of the business side of things, and Dani Johnson to continue to grow as a person and with my walk with the Lord. Don’t give up & you have what it takes. My business is all about helping the mama just starting out that wants to provide some money for her family. That mama has my whole heart since that is the exact shoes I found myself in back in 2008. Daily I see people want to call it quits because things aren’t growing fast enough, or learning the tech side of a business is challenging. But the keys to any successful business is perseverance and passion. She believed she couldn’t so God did. – Lara Casey. We’ve all seen the quote “She believed she could so she did” but about a year ago Lara Casey shared her heart on this quote and flipped it around to the above. I love it so much because I don’t know about you, but most days I really don’t believe I CAN do it. I only do it all by the grace of God and where I feel inadequate he shows me I can do it with His help. Make the Internet Beautiful one website at a time by creating and providing beautiful feminine WordPress themes that you can trust and are easy to get up and going! Equipping women with the tools to actually have a more beautiful website and ultimately a SUCCESSFUL business. Helping women achieve their dreams by showing them that it is possible to do what they love, have a beautiful website, and help them over that hurdle where most tend to give up. How these things relate to motherhood is that I want my children to have a servant spirit. It’s so easy for our children to fall into the me, me, me mentality and everything is about them, but I want them to think about others and serve them in a selfless way. 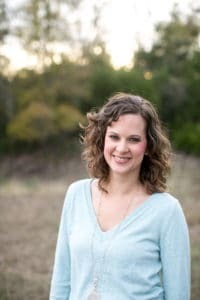 Connect with Lauren and Restored316 !